This sponsored post was written and provided by The Jesus Bible. During the reign of Augustus, a young, ordinary teenage girl gives birth to a baby. In the vast expanse of eternity’s story, she’s just one person in one chapter. But in her arms is the author! Before he was laid in a manager, it was Jesus who laid out the foundations of the universe. Before Jesus split the veil in two, he split the sea in two. Before Jesus made a promise to his disciples, he made a promise to Abraham. Before Jesus walked in the garden of Gethsemane, he walked in the Garden of Eden. Jesus is in Genesis. Jesus is in Exodus. Jesus is in the prophets and the Psalms. Jesus is in Romans and Revelation. There was never a moment before him. And there will never be a moment without him. Encounter the living Jesus in all of Scripture. 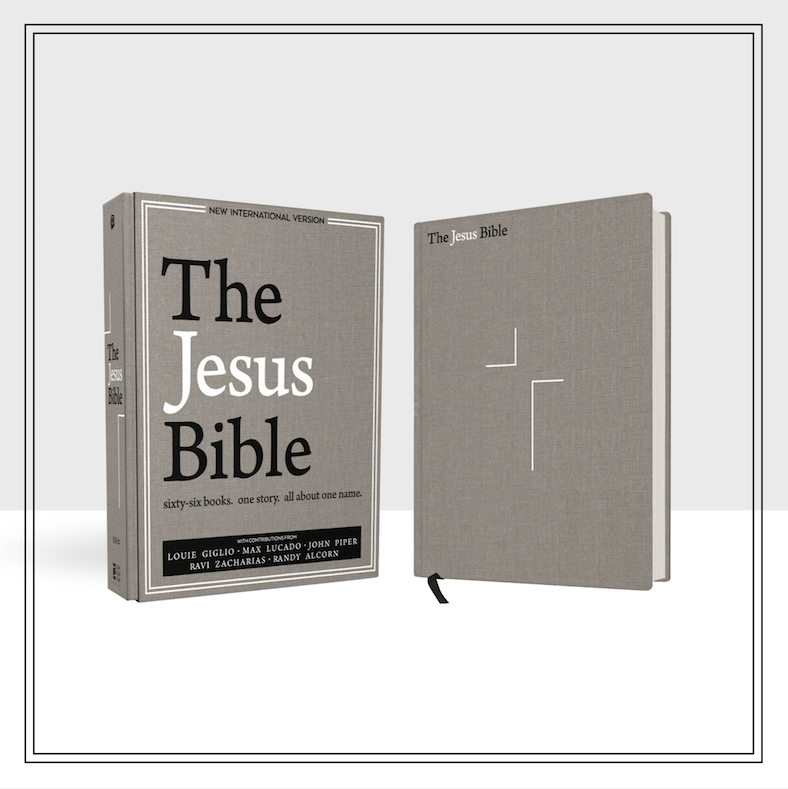 The Jesus Bible, NIV Edition, with exclusive articles from Louie Giglio, Max Lucado, John Piper, Ravi Zacharias, and Randy Alcorn, lifts Jesus up as the lead story of the Bible. Profound yet accessible study features help you meet Jesus throughout Scripture. See him in every book so that you may know him more intimately, love him more passionately, and walk with him more faithfully.